Here you are…. 😀 😀 😀 Enjoy! 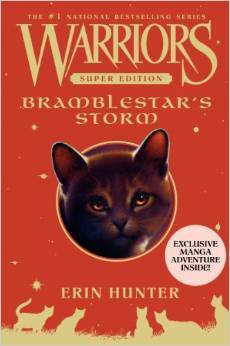 I’m not on this yet but if I had to read it I would puke in disgust over hatred of Brambleclaw so I might as well read spoilers! so i haven’t read far enough, and i’m going to just assume that bramble claw becomes leader…. Brambleclaw is a leader and his deputy is Squirrelflight who is Firestar’s daughter. Don’t ask because I have the book and it is awesome, but sad. yeh, im not that far into the books. i assume, if squirrelflight is firestar’s daughter, than she is squirrelpaw from midnight? also…don’t they not really get along? No, but I read the whole entire book so yeah I know what happens in the end of the story and what happened to the clans when there was a flood.